Use rose water in your everyday routine for amazing results! Going natural in your skin care regime is most recommended. This was how our ancestors saw it right? Well, they weren't wrong. These simple tricks to use rose water for different purposes will transform your skin instantly! For best results, use rose water consistently. There are many Rose water benefits and can be used in more ways than one. This miraculous product can work magic for both your skin and your hair. Watch this video to see some great and easy ways to use rose water on a daily basis. Watch the video NOW! You don’t have to spend too much money on buying a fancy make up setting spray when you have rose water with you. Just use rose water with a spray on your face. This will surely give you a glow on your face as well as work as a makeup setting spray. Not only as a makeup setting spray, use rose water as a makeup remover too. Take a few drops of coconut oil and mix some rose water with it.Dip a cotton swab into this, and gently clean your face with it, to remove any traces of makeup. 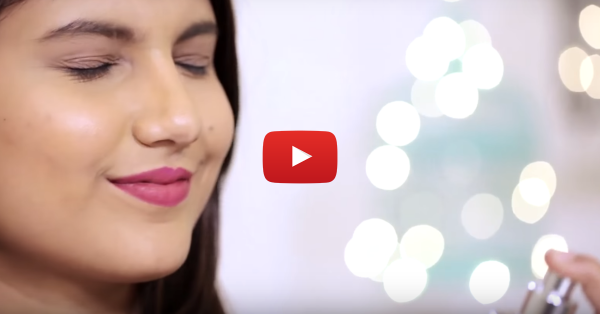 Also watch: 5 Beauty Hacks With Salt – Hello, Gorgeous Hair & Glowing Skin! Mix one spoon of lemon juice with a spoon of rose water and just apply it on your face. Just a reminder to not use this solution if you have an active acne as that would cause burning on your skin. Refrigerate some rose water and use it as an aftershave to prevent irritation of the skin. Also, watch 4 Magic Beauty Hacks… Aloe Vera! Use rose water with equal parts of glycerine. Massage this mixture on your scalp for 5 minutes. Keep it on for 15 minutes and wash off using your regular shampoo. Crush a few tulsi leaves and mix them with a bowl of rose water. Store this in a spray bottle and refrigerate it overnight. Carry this spray bottle as an essential in your bag to soothe sunburn and itchiness. Also watch: 7 MAGIC Beauty Hacks With Just Baking Soda!